How Much Desktop Do You Need? If all you need to do is surf the Internet, write word documents, or make simple spreadsheets, then an entry-level desktop is the way to go. You will have to make some compromises in terms of graphics, power, RAM, and storage compared with higher-end systems, but then again, you won't be paying as much, as entry-level PCs typically cost less than $600. You'll find a wide selection of Intel and AMD processors in this category, from the budget AMD Athlon X4 and Sempron, as well as Intel Atom and Celeron up to the slightly more expensive (and much more powerful) Intel Core i3 and i5 processors. You should look for a minimum of 4GB of RAM, while 2GB is acceptable for sub-$300 machines. Only 16GB of eMMC flash storage is found on the least expensive desktop, but 64GB of flash storage or a 500GB hard drive is a better option for most users. 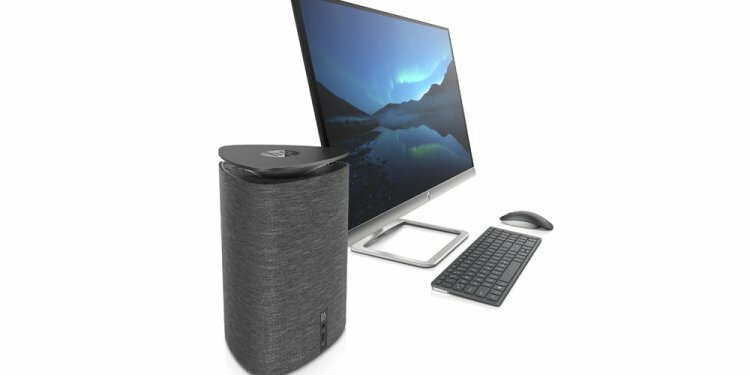 A subcategory of entry-level desktops, the chromebox (and its all-in-one counterpart, the chromebase) is a desktop that runs on Google's Chrome OS. Both can be found for as little as $179, utilizing free and paid Google cloud services to store your files, install your programs, and manage your digital life. If you spend a large portion of your computing life online, they're a fine alternative to yet another inexpensive Windows desktop, but given that they typically have scant onboard storage (think 64GB maximum of flash storage), you'll need a good wireless connection to be able to access the cloud-based storage and apps. Midrange desktops will stay functional longer, thanks to more CPU power and speed, memory for multitasking, storage, or a larger built-in screen. You will have to make some sacrifices, but even demanding users will be able to find a midrange system that will last them at least five or six years. Look for a capable AMD A8 or A10 processor, or an Intel Core i5 CPU in this category, along with 8GB to 16GB of memory, and a 1TB hard drive or 256GB solid-state-drive (SSD) storage. High-end desktops offer top-of-the-line components, like the latest CPUs that will give you all the power you need for multimedia projects, loads of storage (a 512GB SSD or 1TB hard drive, but typically 2TB or more), 3D graphics capability for gaming, or a combination of all three. These high-performance machines typically start at $1, 500, and can go up to $5, 000 and beyond for workstations or gaming rigs with customized paint jobs and multiple GPUs. While sticking to one of the three price ranges, we recommend that you buy just a little more than you need for the tasks you do now if you can. That way, you future-proof your purchase and won't have to shop for a replacement for a while. General-purpose desktops, which are the kind you typically see in retail stores, are well suited to general office tasks, surfing the Internet, video conferencing, and the like. They're designed to be jacks-of-all-trades: good at most tasks, but rarely great at specialized functions like multimedia creation or gaming. Performance PCs, which include multimedia machines and workstations, will give you more power for complex creative or math and scientific projects. Faster processors with four, six, or even 18 cores make quick work of your tasks. More memory (8GB to 32GB) is installed, so you can keep larger images on screen while editing a video, rendering a 3D model, or processing a humongous spreadsheet full of numbers you have to graph. You'll also find extra storage in the form of large hard drives and SSDs that will let you hold a multitude of work documents and program library files. Workstations are specialized machines made to do the heavy lifting of high-end media creation, scientific calculations, and strenuous work tasks that have razor-thin deadlines. You'll find multicore Intel Xeon processors and ISV-certified graphics solutions from AMD and Nvidia in this category. Gaming PCs have even faster versions of the multicore processors found in the performance PCs. Plus, they have specialized 3D graphics cards, so you can smoothly view and interact with the virtual worlds that the game developers create. Flashy design elements like automotive paint, multiple graphics cards viewable through Plexiglas (or sometimes real glass) case doors, and elaborate liquid cooling setups are available, for a price. Upgradability is almost (but not quite) a must-have. The most expensive gaming systems can cost upward of $10, 000, but are capable of giving you a better-than-real-life experience with multiple 1080p HD or 4K displays, or when using a VR headset like the Oculus Rift or the HTC Vive. Business PCs are typically utilitarian in appearance, but offer work-friendly features like easy serviceability and upgradability, extra security in the form of biometric sensors and Trusted Platform Module (TPM), software/hardware certification programs like Intel vPro, and software support. Some come with on-site tech support. Desktops are no longer the uniform metal boxes they used to be. Even the tiniest PCs have enough built-in components to rival high-performance PCs of the past. Choosing one these days is a matter of space constraints, and purpose. If you live or work in truly cramped quarters, then an ultra-small-form-factor (USFF) or small-form-factor (SFF) desktop is what you need. USFF (or mini) PCs take up the least amount of room, but don't have much expandability, if any at all. Even so, they contain a processor, memory, storage, and ports to hook up displays, keyboards, and mice. They are usually the most economical to buy and run, since they use power-saving components and processors. The total volume of one of these systems is rarely larger than that of a small jewelry box. Lately, we've seen PCs that are the size of USB flash drives, like the Intel Compute Stick. These have the benefit of disappearing behind an HDMI-equipped monitor or HDTV. You may be limited to one or two configurations and will have to give up expandability and I/O port selection, but stick PCs and similarly sized mini desktops are the most flexible way to play Internet streaming media and access cloud computing in your living room or conference room. SFF desktops have more internal space, allowing you to attach additional hard drives and possibly even a gaming-grade graphics card. You'll also find more powerful CPUs here, with their more strenuous cooling requirements. Traditional tower desktops, including mini, midsize, and full-size towers, have the most internal space, so you can install multiple hard drives, more RAM, or multiple graphics cards, depending on your needs. They are the most flexible, but also the bulkiest. An All-in-one (AIO) desktop will save you some space, since the display is built in. Some even come with battery power for added portability (although we would not recommend you haul one with you on your daily commute). But in most cases you will give up expandability, compared with the traditional desktop. Screens come in sizes from 18 to 34 inches, and support up to 5K (5, 120-by-2, 880) resolution. Which Desktop Is Best for You? At PCMag.com, we review hundreds of PCs every year, evaluating their features and testing their performance against peers in their respective categories. That way you'll know which is best for gaming, which is our favorite general-purpose all-in-one, and which is the best if all you need is a small, powerful system you can get up and running quickly. No matter what kind of desktop you're looking for, one of the top-rated models here is sure to fit the bill.